In 1979 seven-year-old Gary Shteyngart and his parents left the Soviet Union for the consumerist paradise of America. As good Russian Jews, Gary's parents were determined that he make something of himself. As a diminutive asthmatic with a runny nose, Gary knew his was to be a life of spectacular disappointments. He wasn't wrong. In Little Failure he reveals how, by ending up a prize-winning novelist, he visited great shame on his family. 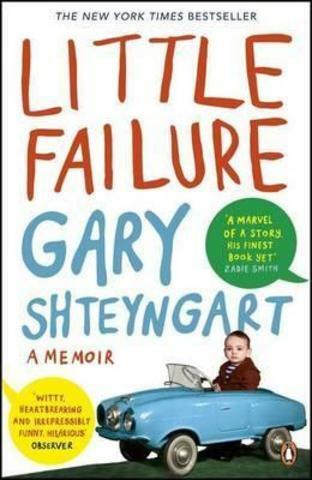 Gary Shteyngart was born in Leningrad in 1972. In 2007 he was named one of Granta's Best Young American novelists. His debut The Russian Debutante's Handbook was widely acclaimed (and won the National Jewish Book Award for Fiction), as were his second, Absurdistan (one of the 10 Best Books of the Year in the New York Times) and Super Sad True Love Story (which won the Bollinger Everyman Wodehouse Prize).